Visit my articles posted on RezHub.com. My writings are in the Travel Experts Forum under the handle Adventurous. After you read an article, click one of the links to the right. They are located in a box titled “Ads by Google.” I get paid per click, but I think it’s something like 42 clicks equal a penny, so every click counts. Check back often as I am posting several articles each week. While you’re in the neighborhood, revisit some of my other articles, even if you’ve already read them. Open them. Increase the number of views. Click the links on the right. Your clicks will turn into my bacon. 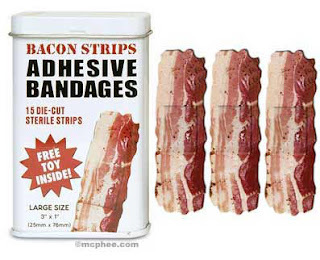 So please, for the love of bacon, GET CLICKING!